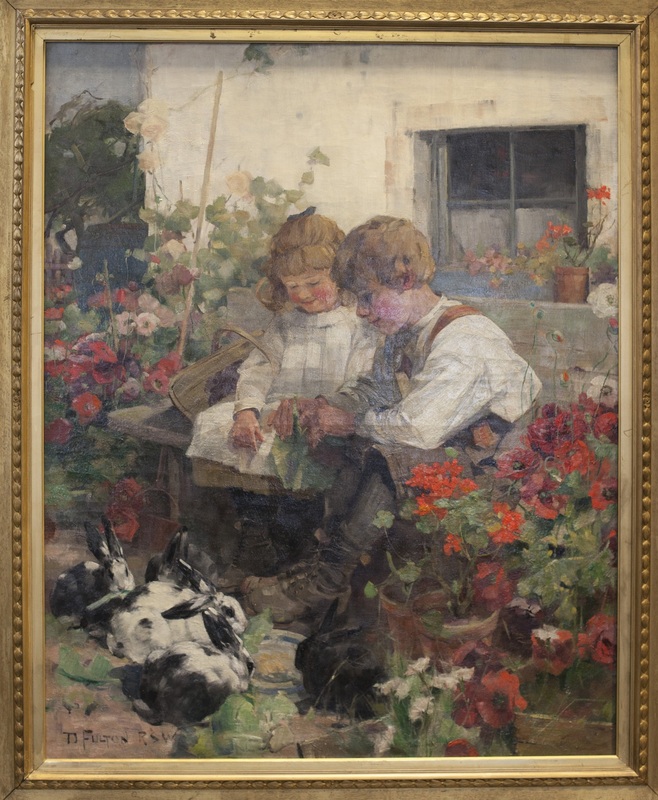 The oil on canvas, Siblings Feeding Rabbits, by David Fulton (1848 – 1930) was transported to Germany for a The Munich International Exhibition in 1894 and has remained out of Glasgow ever since. 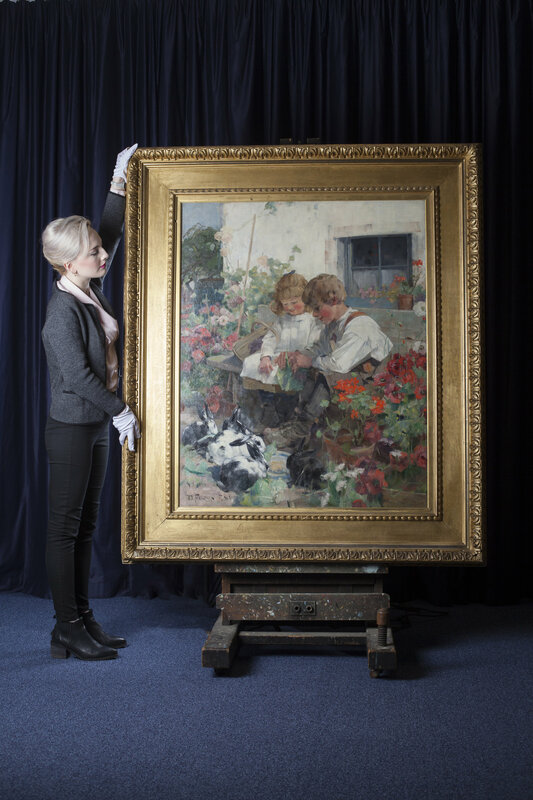 Now the painting, which has been valued at £8 000-£12 000, has returned to the artist's home town where it will feature as one of the top lots in The Scottish Pictures Auction at McTear's on 14th February. Born in Parkhead in 1848, David Fulton studied at Glasgow School of Art before establishing an international reputation as a skilled painter of children, often with animals or at play. Fulton was a frequent contributor to the annual exhibitions of the Royal Academy, the Royal Scottish Academy, the Royal Glasgow Institute and the Royal Scottish Water Colour Society, and also exhibited in Venice, Prague and St Louis. Brian Clements, Managing Director at McTear's Auctioneers, commented: "David Fulton is a true son of Glasgow and one of greatest artists to come out of the city in the past 200 hundred years. 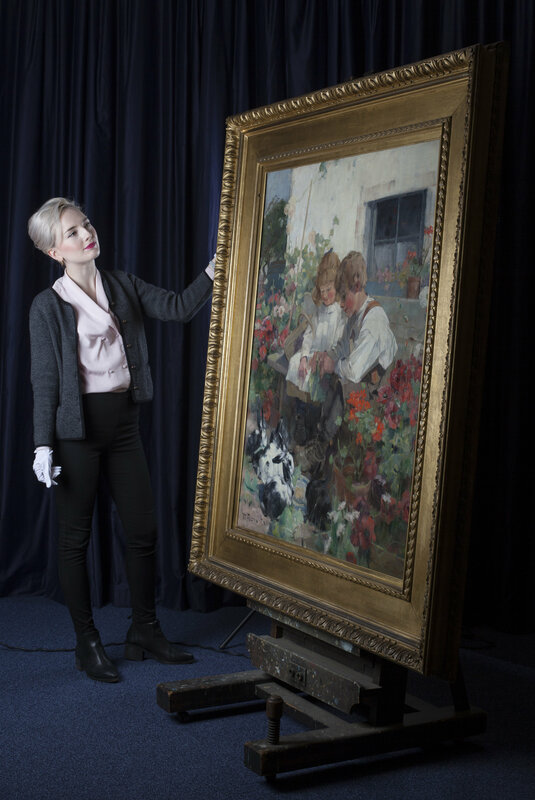 This painting is perhaps the artist's finest work and it is fantastic to see it back in Glasgow after a break of 120 years." 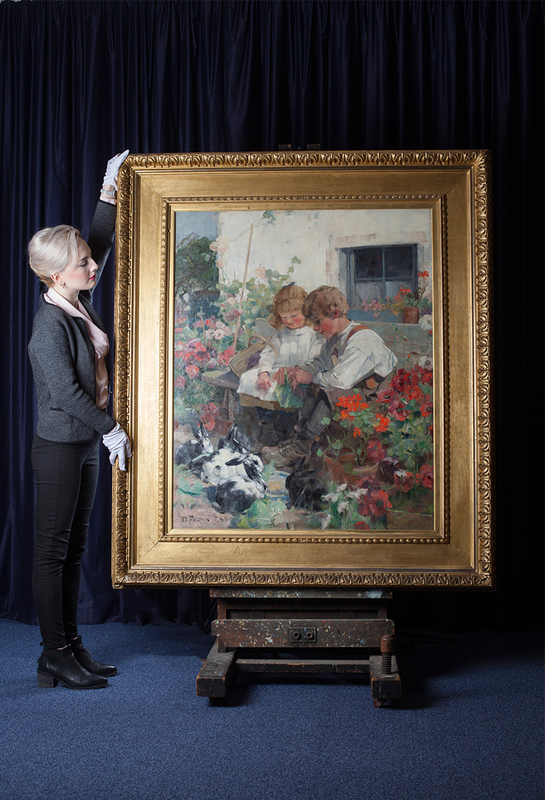 McTear's Scottish Pictures Auction will take place on 14th February. Search McTear's on Barnebys here.